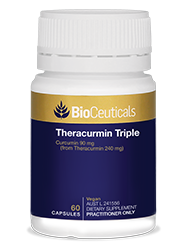 Three times stronger, one capsule is bioequivalent to 810mg of regular curcumin. Theracurmin Triple is a highly bioavailable form of curcumin that is concentrated to contain three times more curcumin than standard Theracurmin. 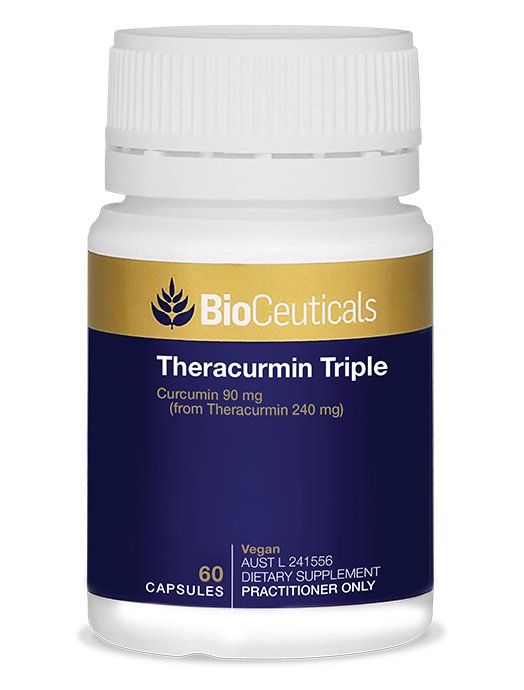 Highly bioavailable curcumin, concentrated to contain three times more curcumin than standard Theracurmin. May help reduce joint inflammation. May help support normal gallbladder contraction.